1. What accounts for the popularity of digital signage? The growth of mainstream digital signage is a function of the ability of the medium to attract corporate dollars for advertising and brand promotion. In recent years, the technology required to make a digital signage network has rapidly decreased in cost while increasing in capability, making the return on investment for advertisers more attractive. At the same time, the industry has made concerted efforts to standardize upon meaningful metrics that media buyers can use to justify and evaluate their advertising spend on digital signage. 2. What type of visual display technologies work best for digital signage? There are a lot of different factors involved when deciding what visual display technology is suitable for any given application. For typical indoor applications where corporate branding is paramount, you want to be sure that the visual technology you choose offers vibrant colors and crisp images, wide flexibility in installation, a low cost of operation, and ease in maintenance. Some retail spaces can be challenging to integrate with, so flexibility is crucial. One of the industry's most exciting technologies that meets these criteria are Christie® MicroTiles®, the world’s first fully-creative, high resolution modular display solution. They offer excellent performance and combine exceptional image quality with a virtually seamless design for ultimate creative freedom in delivering a company’s intended message. 3. Where can MicroTiles be used? 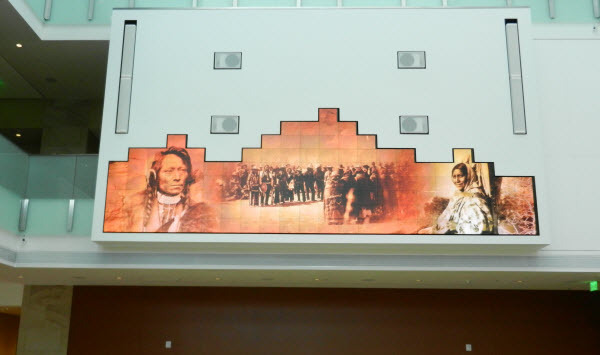 MicroTiles are incredibly versatile and work well in many commercial and public environments, including retail spaces, corporate headquarters, museums, universities, theater lobbies, churches, airports, and control rooms, to name a few examples. Christie MicroTiles are built on proven LED and DLP® technology, so they are specifically designed for maximum image quality in demanding indoor, high-ambient light environments. This means that despite lighting challenges, MicroTiles always looks crisp from almost any angle, delivering the intended message with stunning picture quality. 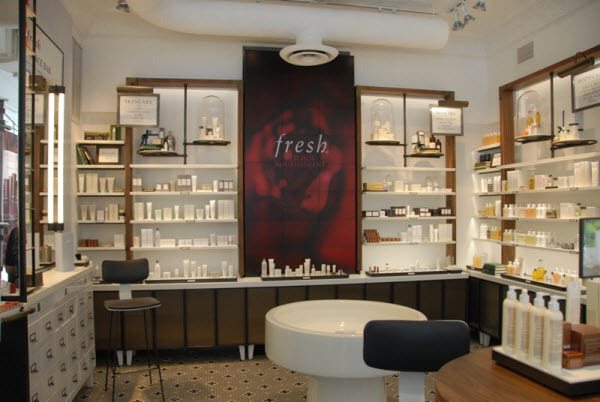 Leading retail stores like Fresh®, (a brand within LVMH Moët Hennessey Louis Vuitton luxury group) renovated their flagship store in New York City with 33 Christie MicroTiles on two walls. Seamlessly integrating the cutting-edge technology with authentic, old world fixtures, the store’s four innovative sensory destinations are surrounded by eco-conscious materials and energy-efficient LED lighting. Fresh also selected Christie Managed Services for consultation, installation and technical support. Recently, a video wall composed of 134 MicroTiles was installed at the History Colorado Center in Denver, where it greets visitors with a breathtaking view of the Rocky Mountains and helps to promote the Center’s messaging and branding. The bright atrium lets in strong light, yet the ultra hi-resolution technology of Christie MicroTiles achieved maximum image quality. MicroTiles are also an ideal choice for any building where environmental standards must be met, such as Leadership in Energy and Environmental Design projects (LEED). MicroTiles are built to last with durable components, and are easy to re-deploy or grow as the needs of a space evolve over time. When they finally reach end of life, they are built of 80% recyclable and 90% recoverable materials. 4. What configurations can be created with MicroTiles? MicroTiles can be configured in any shape and any size to fit the intended space. You don’t have to be a square when using MicroTiles! You can create visual display solutions that mimic arches, stairs, columns, strips, and curved display walls, among many other different shapes. Christie MicroTiles have been installed in some very interesting configurations, such as in the Cinemas Guzzo Theater lobby in Montreal, where the tiles are used to create an archway that greets visitors before they enter the theater. 5. How difficult are they to configure? Not difficult in the least! MicroTiles were designed with the end-user in mind for easy configuration that can be adjusted whenever necessary. They are incredibly lightweight and shallow, with a depth of only 10.2” inches and weighing just 20 lbs, which allows them to be scaled to any size, shape, or configuration. The modular tiles lock together like building blocks. Turn them on and sit back while the tiles automatically detect each other and display an image on the screen. You can even tear the tiles down, reconfigure them and they’ll still automatically recognize each other. 6. Is there a limit to how many MicroTiles I can use in an installation? 7. How can I find out the best MicroTiles configuration for my environment before I invest in them? Christie works with a national network of dealers, and also offers support to integrators through its Managed Services division, from consultation to design, installation to service, and after-sales support. We offer a one-stop shop, experienced with the planning, procurement, logistics, pre-staging, integration and implementation of a rollout. Christie also offers MicroTiles Designer, an online tool which helps you plan the shape and resolution of your canvas. 8. What advantages do MicroTiles offer when compared with traditional flat panels or LED video walls for multimedia content? The image quality of MicroTiles is unprecedented, with a reproduction capability that is a full 115 percent of the NTSC color gamut and exceeds standard LCD flat panels by around 50 percent. In this pixel powerhouse, you get 70X more pixels than the most popular 4mm surface-mount display LEDs. This means you get the desired colors and look for your message, exactly the way you want it. In addition, most other display technologies are very limited in shape flexibility or too pixilated and bright close up, forcing audiences into constrained angles and distances to truly ‘see’ your message. Up close, from any angle or from a distance, Christie MicroTiles deliver sharp, high-resolution images. 9. What makes MicroTiles unique? One of the most unique aspects of MicroTiles is their auto-calibration feature, which ensures the display will always look great, even when reassembled or years after installation. Once locked into place, built-in sensors monitor each LED’s performance, allowing the system to detect each tile in the array and to automatically adjust brightness and color during set-up and continuously over the life of the display. 10. I don't have an IT staff or strong IT experience. Now that I have MicroTiles, how do I maintain them? Each tile is 100 percent front accessible simply by popping off the screen, allowing you to repair or replace any serviceable component in less than 15 minutes, without having to turn off or bring down any of the other tiles. You don’t need to invest in development resources to manage or sustain your business. Christie’s Managed Services team can act as an extension of your own expertise. We’ll bring our AV/IT industry know-how, qualified local field technicians, a national footprint, and a commitment to drive a project through to completion to fully support your programs, so that you can concentrate on the advertising content and your customer base. We can ensure your signage network or specialty installation is up and running, while continuing to provide you the service you’ve come to expect from Christie. After installation is complete, we can monitor and maintain the system to minimize downtime. Our support services include remote monitoring by our 24/7 Network Operations Center, technical phone support, configuration management, preventative maintenance and onsite repair. 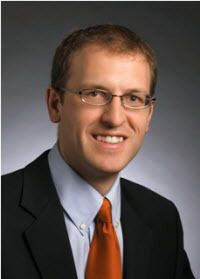 Richard is a senior product manager at Christie, world leader in high-end visual systems for business, entertainment and industry. Richard is responsible for a cohesive ecosystem of unique digital media products, including Christie® MicroTiles®, a breakthrough technology that enables designers and integrators to create eye-catching displays that have never been possible before.